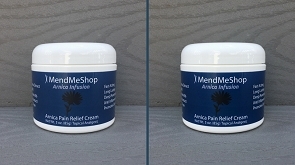 Helps treat Achilles Tendon Tears, Achilles Tendonitis, Strained Achilles, Haglund's Syndrome, Achilles Bursitis, along with other Chronic Achilles Pain Safely, Naturally and Effectively! When most people think of Achilles related conditions, they instantly think of tendonitis. 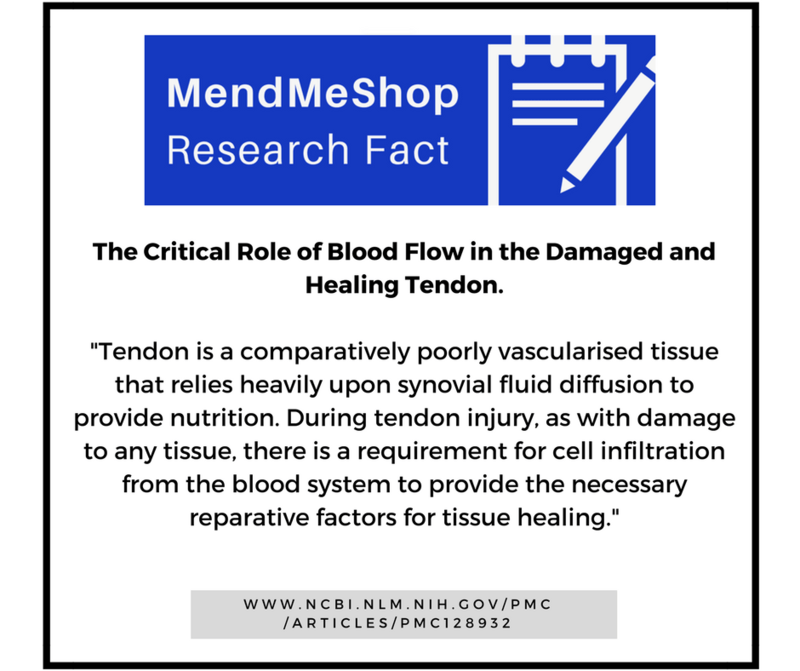 The truth is, more tendon related conditions involve a gradual breakdown of the tendon tissue along with mild to moderate development of scar tissue. The Achilles bears a tremendous amount of the body's weight, which makes the tendon prone to injury and to degenerative changes. The tendon simply weakens over time, and eventually at some point in the future, a specific movement or steps cause more damage to the Achillles. At that time, the issue becomes more prominent and constant. As tendons lack an enhanced supply of blood flow, challenges and generally weak results are experienced when you attempt to heal your tendon injury only through the traditional recommendations of stretching or wearing of an ankle brace or support. While we do not downplay the importance of protecting an injured Achilles through the use supports and braces, one must do more and supplement with treatments designed to accelerate the rebuilding of the injured tissues. 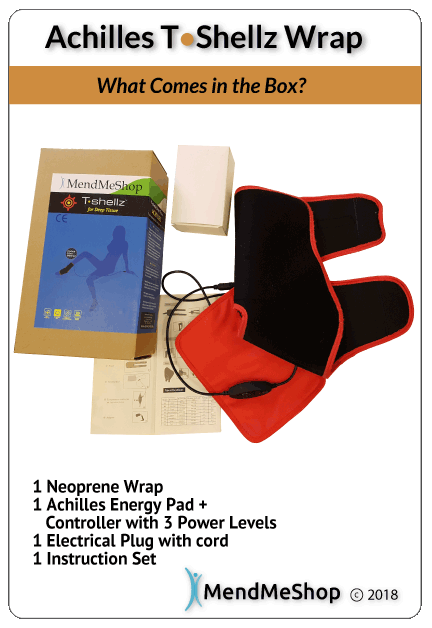 In addition, you do not want to over-rely on the use of cold compression therapy. Cold therapy is designed to reduce blood flow to tendons by constricting the vessels. If you constantly reduce blood flow to the tendon, that tendon can potentially take much longer to heal. 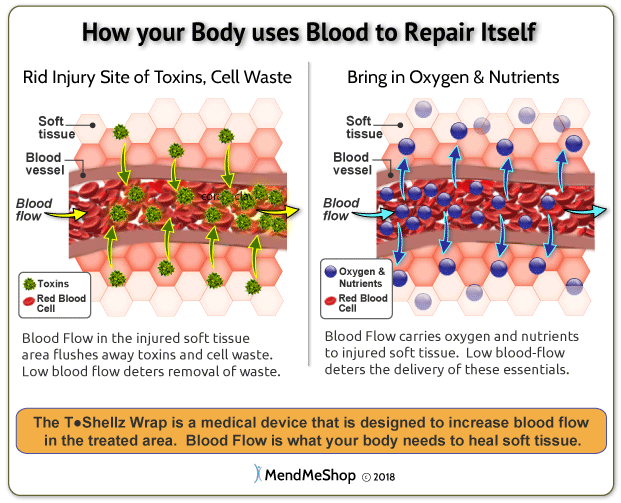 Cold therapy treatments can certainly help alleviate short term bouts of inflammation, but once again, a focus on healing is needed for long-term success and this requires getting consistent blood flow to the tendon consistently (which is where the T-Shellz Wrap comes into use). The Achilles T-Shellz Wrap is based on an Electromagnetic Energy - which is very beneficial during the healing process. This form of energy is designed specifically to penetrate into dense tissues (such as tendons). When using the T Shellz, you open up the vessels within the tendon, which allows for more oxygen and nutrients to reach the damaged tissues. This serves as the catalyst for the healing process. Any time you feel that your Achilles feels tight, reducing your mobility and causing pain (especially in the morning or after sitting for extended periods of time - at home, work, commuting, etc). On a consistent, daily basis if you are dealing with a more chronic Achilles issue where scar tissue has developed and is leading to a cycle of re-injury and re-aggravation. If you are in a situation where you are required to wear a removable ankle brace or support - the Achilles T Shellz Wrap can be used at different points during the day to help prevent the Achilles tendon from constricting and tightening to a certain degree. Immobilizing the Achilles is needed in cases of significant injury or post-operative situations. The concern always is, if the tendon is immobilized in a brace or support, the tendon can contract and become very tight and inflexible. You, along with your doctor, could make a consideration to use the T-Shellz wrap at a low level setting to gently stimulate blood flow to the tendon, gradually warming the Achilles to help with enhancing flexibility. And any other situation where you need to increase blood flow to your Achilles to relax your soft tissue, relieve pain, prevent re-injury and enhance the flexibility of the targeted area! As a general rule, people will use the Achilles T-Shellz Wrap approximately 3 times a day - before bed, upon awakening, and one other time corresponding with one of the situations mentioned above (perhaps an hour or so after work, before exercise, etc). You are always welcome to contact us to find out the optimal times to use your T-Shellz Wrap based on your daily routine/schedule. We will be happy to provide you with recommendations based on our experience. 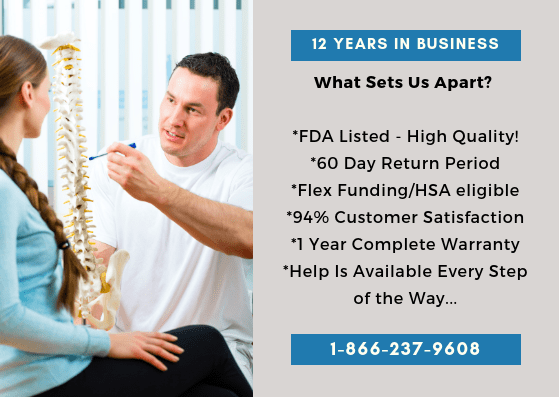 Please note that individual results may vary and the information provided on this site is not intended as a substitute for advice from your physician or other health care professional. The unique Achilles T-Shellz Wrap is designed with every detail in mind to give you the most effective and most enjoyable therapeutic experience available anywhere. Here’s why! 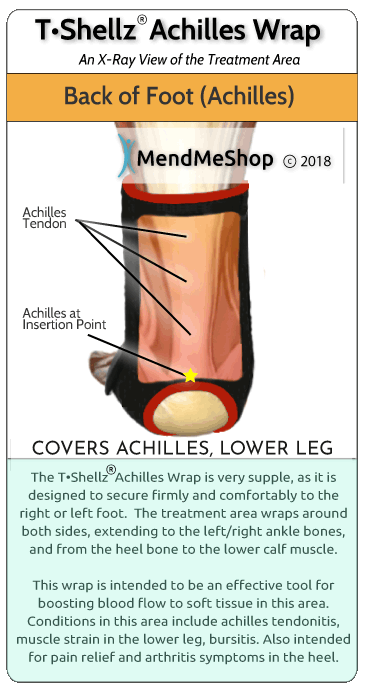 What Can The Achilles T-Shellz Wrap® Treat? Practically any condition or injury affecting the achilles tendon and surrounding tissues can benefit from treatment with the Achilles T-Shellz Wrap. Our business is built on our reputation and we want you to be as satisfied with your MendMeShop experience as tens of thousands of our customers are. That is what your purchase from us will be - an experience. 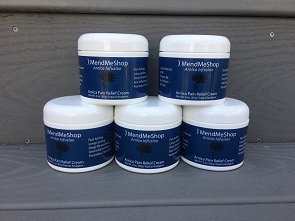 Not only do we supply superior products, MendMeShop Specialists are available to help you get the right products and advice. Order your own Achilles T-Shellz Wrap today and we will have your order shipped promptly. We do shipping six days a week and delivery typically occurs in 2 or 3 business days. Living with pain is never easy as it affects your entire lifestyle. Nothing is more important than making the proper decision when it comes to treating your achilles injury. Most methods only mask the problem or provide temporary relief; they do not treat the pain at its source.